Hide deals from seller "Swift Sweepers Cleaning Service"
Hide deals from category "Home Cleaning"
Limit 1 per person. Valid on a residential deep cleaning for up to 3 bedrooms and 2 bathrooms. 1600-square-foot maximum. Exterior and interior windows not included. By appointment only. Promotional value expires 30 days after purchase. Declare your home’s independence from dirt and dust with 50% off a residential deep cleaning from Swift Sweepers Cleaning Service, available within 25 miles of Sheffield Neighbors ($280 value). 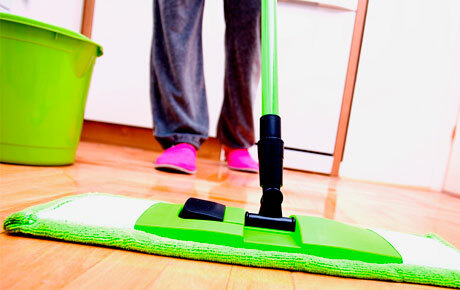 These scrupulous cleaners will vacuum and wash floors in up to three rooms and two bathrooms. Swift Sweepers Cleaning Service has been busting dirt and grime for more than a decade. With flexible scheduling, this professional cleaning crew won’t let time conflicts halt their quest for cleanliness. They’ll haul in an arsenal of vacuums and mops to reach every nook, cranny and fiber for a complete and comprehensive clean. Start off summer with a clean home using this Independence Day deal. Residential and office cleaning business servicing the Sheffield Neighbors area.